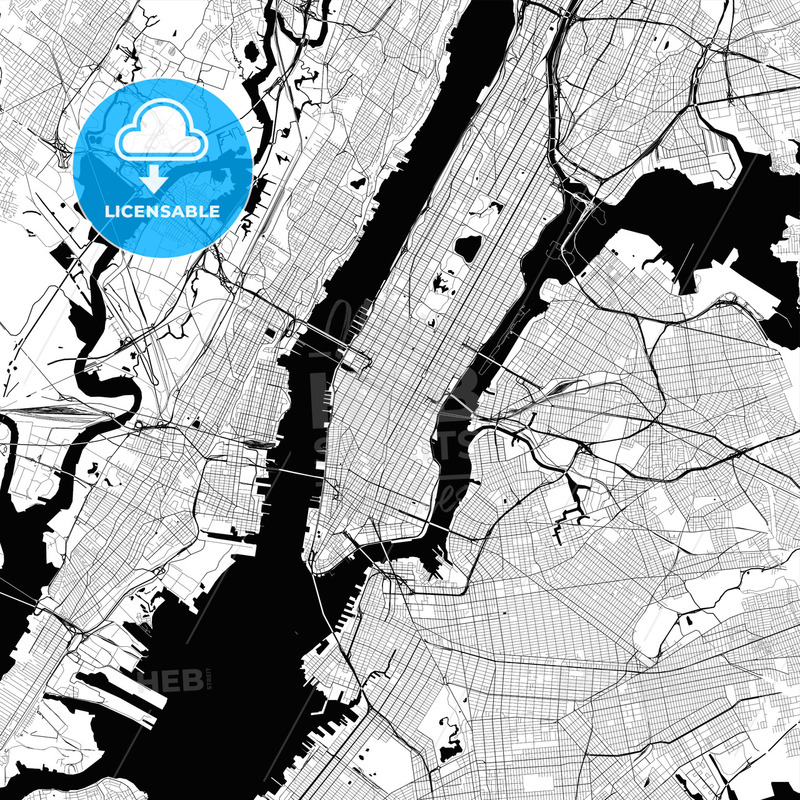 New York City monochrome vector map. Very large and detailed outline Version. Black Highways, streets, roads, railways and water. White landmass. This map will show basic but detailled shapes for landmarks and traffic. No information about naming, borders, symbols or buildings. Useable for backgrounds in any digital or printed medium. Vector version is scalable for any size.